South Korean pharmaceutical companies stroke 11 out-licensing deals with overseas partners last year, which were worth 5.26 trillion won ($4.65 billion), up by 3.8 times from 2017, when eight such deals worth 1.4 trillion won were signed, according to data released from the Ministry of Health and Welfare on Tuesday. Among major achievements, Yuhan Corp. inked a 1.45 trillion won contract to license out its investigating non-small cell lung cancer drug Lazertinib. Health Minister Park Neung-hoo congratulated chief executives of 17 pharmaceutical and bio firms and six leaders of research institutions related to new drug development for their achievements. 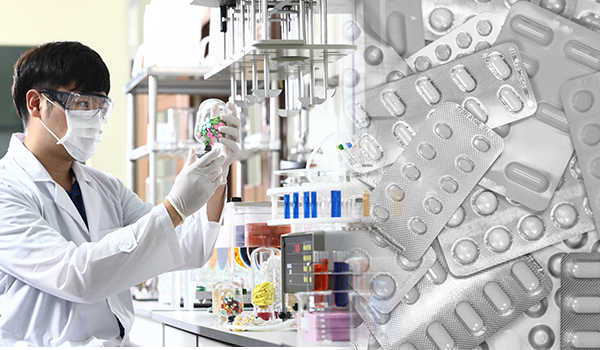 The Korean government has been active in its supported for the local pharmaceutical and biotech industry under a five-year goal to become a pharma industry powerhouse with a roadmap announced in 2017. As part of measures to strengthen the global competitiveness of local drugmakers, the government plans to expand tax benefits for phase III clinical studies conducted by local firms and to nurture experts to boost research and development utilizing the fourth industrial revolution technologies such as artificial intelligence. Park celebrated the milestone of Korean pharmaceutical and biotech companies, while calling for more efforts from them in investment and job creation. “The government will do its part to increase support for the industry to encourage investment in R&D that will lead to out-licensing contracts,” Park said.